Melbournians are going mad for Meatball and Wine Bar – a great restaurant-bar-diner hybrid located on Flinders Lane in the CBD offering mouth-watering meatballs, sliders, whoopee macs and great wines and cocktails. 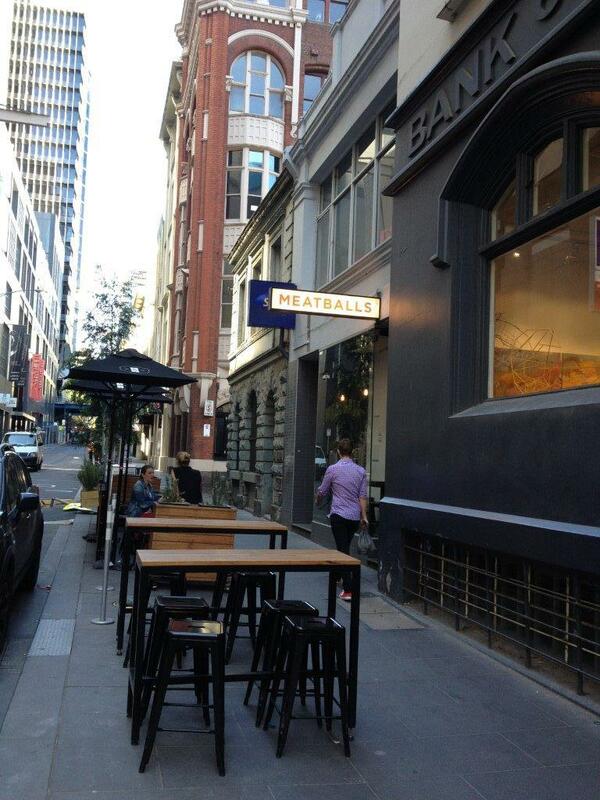 As the name suggests, its main attraction are the meatballs, and they do it well. And while meatballs don't sounds like a ground-breaking menu idea, just you wait till you try them, as this place will have you gagging for its balls. The meatballs come in a range of five different types (beef, pork, chicken, fish and vegetarian). These are then decided with which sauce they are to be served with (tomato, creamy and pesto) and finally, what base - (Italian beans, creamy polenta, Super MB Potato Mash, homemade pasta and a vegetables). All of these options can be mixed and matched. There is also side salads, cured meats and cheese on the menu, but you really do come here for the balls. 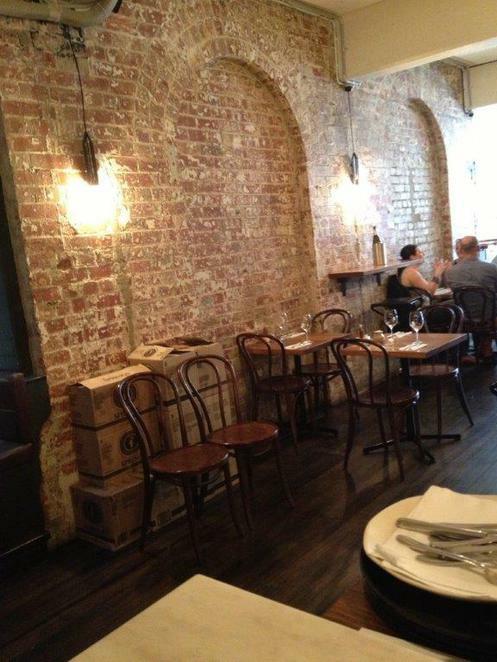 The design of the restaurant has a New York style feel to it with exposed bricks, lighting and rustic yet contemporary furnishings. There are various sized tables as well as bar seating on offer. 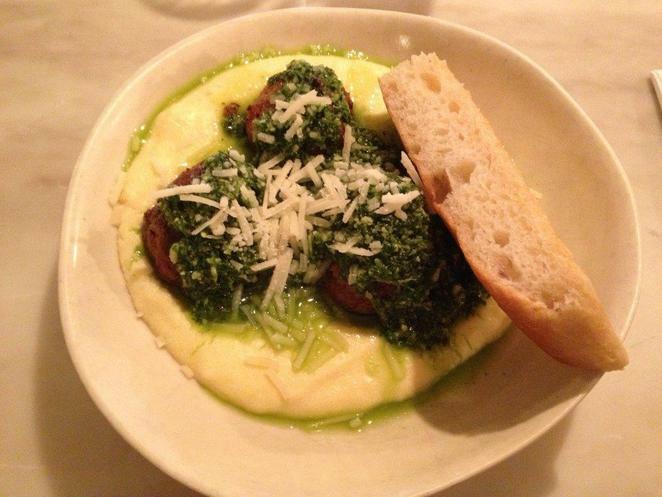 Worth trying are the beef meatballs with red sauce on mash, and the pork meatballs with pesto on polenta. 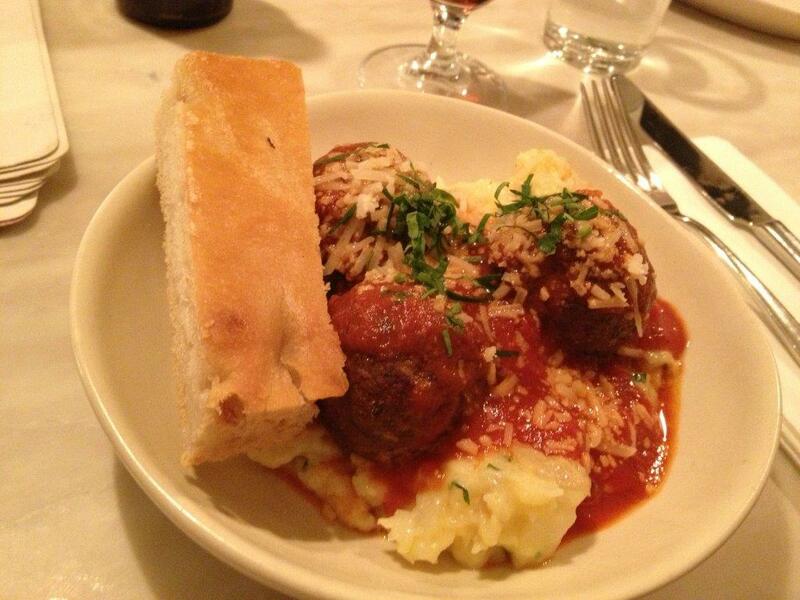 Each meatball dish comes with a fresh slice of moist focaccia bread on the side and parmesan cheese on top. The beef meatballs are made from pasture fed Angus Beef, and are served with an Italian tomato based sauce, and on a very creamy and soft mash potato base. The meatballs are moist and flavoursome, and the tanginess of the tomato sauce goes very well with the creaminess of the mash. Simply incredible! The pork meatballs are made with fennel, sage and orange, and served with a salsa verde pesto sauce, on bed of soft creamy polenta. The meatballs are once again outstanding in terms of taste, and each little ball was a delightful bite of soft, tender meat. The pesto sauce adds a refreshing touch with the herbs, while the polenta is smooth and creamy, making for a great taste sensation. 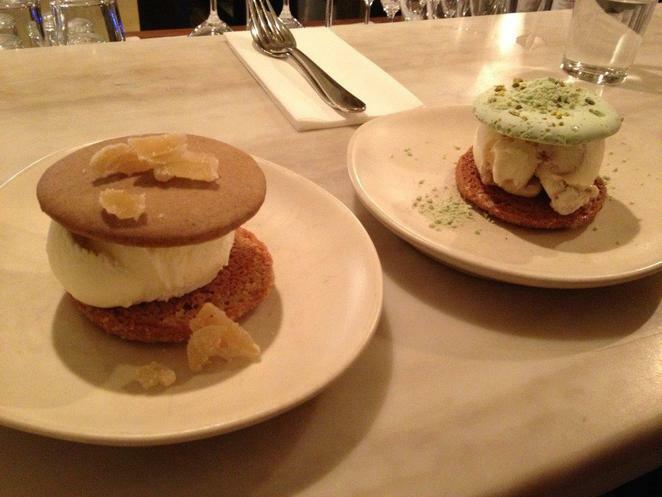 There is also good selection of wines, beers and cocktails to wash down your meatballs with, and your meal wouldn't be complete without the dessert on the menu – a Whoopie Mac, also known as an ice-cream sandwich. One again the choice is yours to build your Whoopie Mac, by picking from a selection of cookie outers, and then select the ice-cream flavour for the centre. Simple deliciousness. 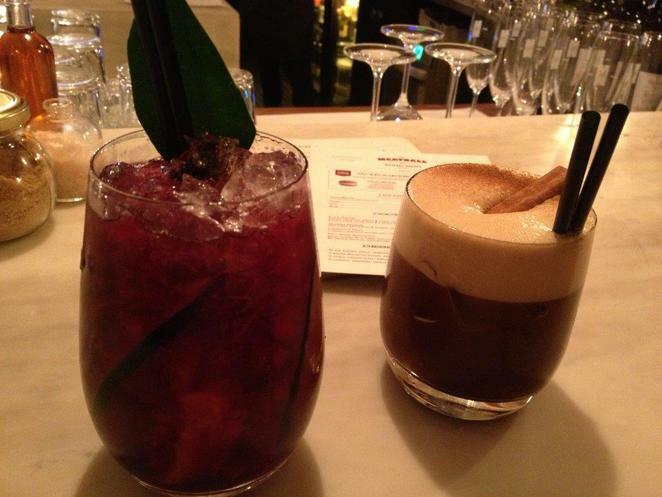 Overall the Meatball and Wine Bar is a great place to have a tasty, hearty and interesting meal, and the food is the type that one can go back for time and time again. Like most specialised restaurants, the variety of food is minimal, but this allows the quality to reign supreme, and there is good eating to be had for the meatballs. 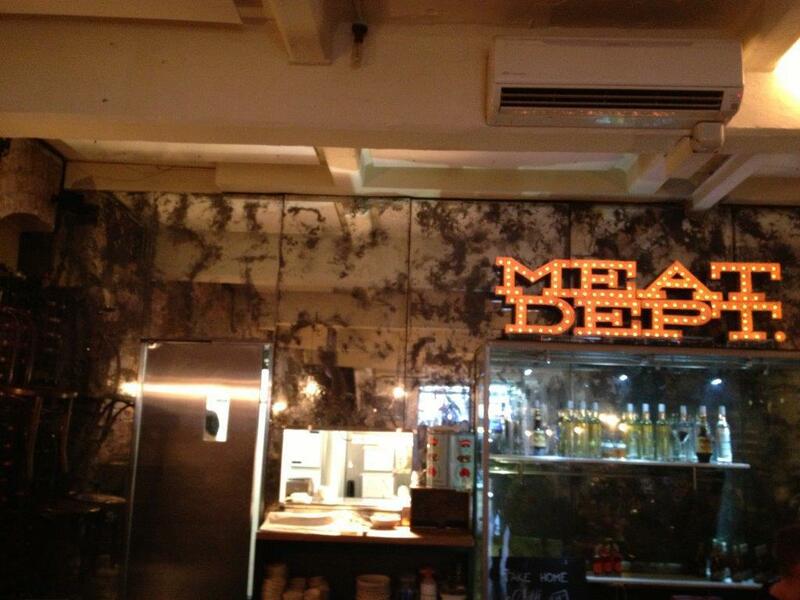 Staff are friendly and very helpful offering their advice on all things meaty. Yum, nothing but meatballs, that sounds like a brilliantly simple idea and the opportunity for racy innuendo is boundless. What fun! I love the sound of this place; I really like the mix & match aspect.